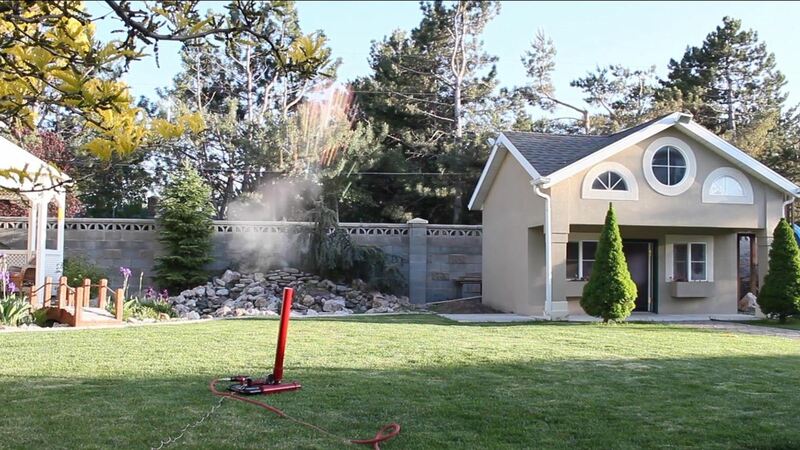 In this project, you'll learn how to re-purpose low-cost sprinkler parts into a high-powered CANDY CANNON. 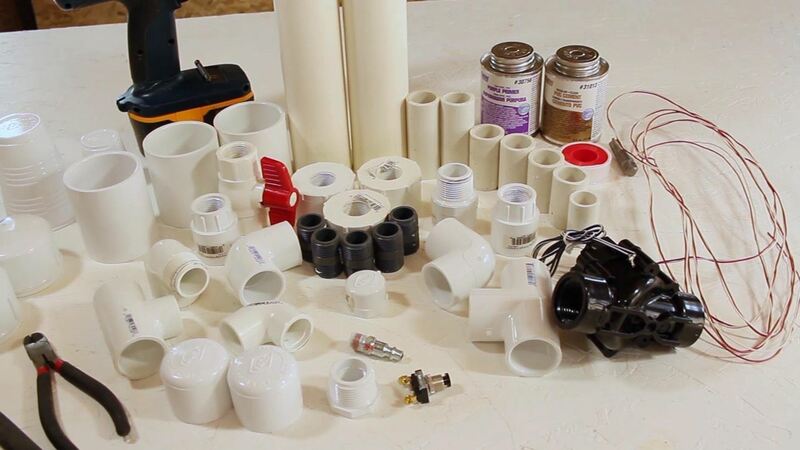 Be the coolest person on the block by building a pneumatic device that will launch candy 100 feet in the air—you can make it rain down all kinds of sugary treats!!! It's cheap to make, and a huge hit at birthday parties. 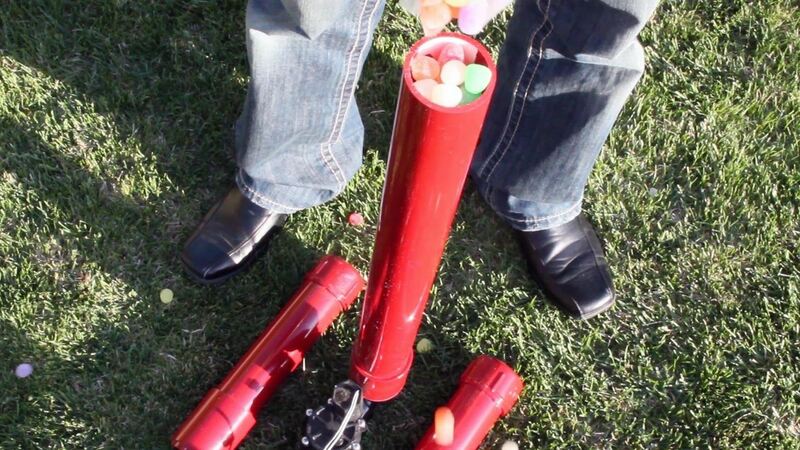 This is the completed Candy Cannon. 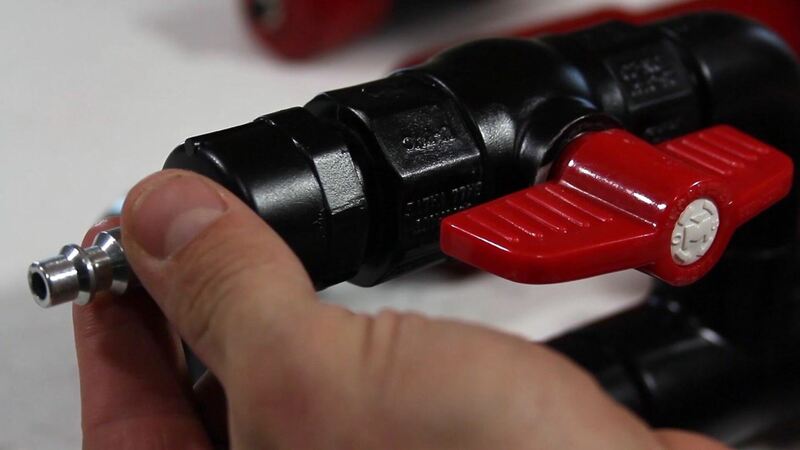 It uses an in-line sprinkler valve, rated at 150 PSI, as the trigger mechanism. It's used to propel a cloud of candy to an altitude of around 100 feet, at which point the candy begins to drop back down, making it rain candy! 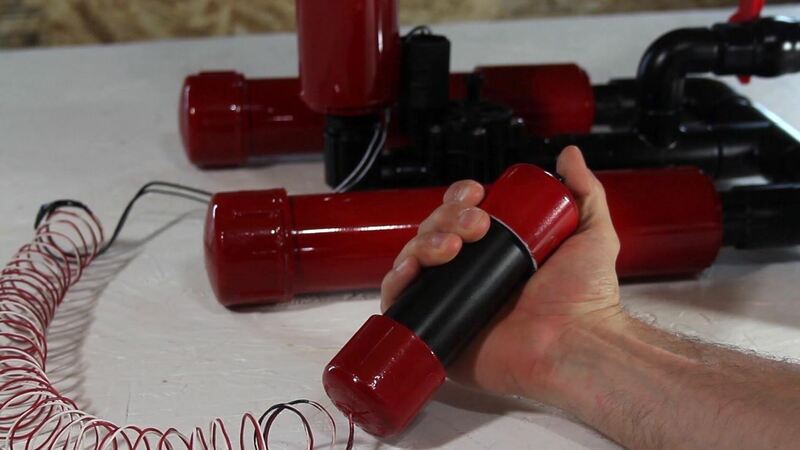 The handheld detonator is a fun way to send an electric pulse to the sprinkler valve, releasing the air in one swift blast, causing the Candy Cannon to fire. 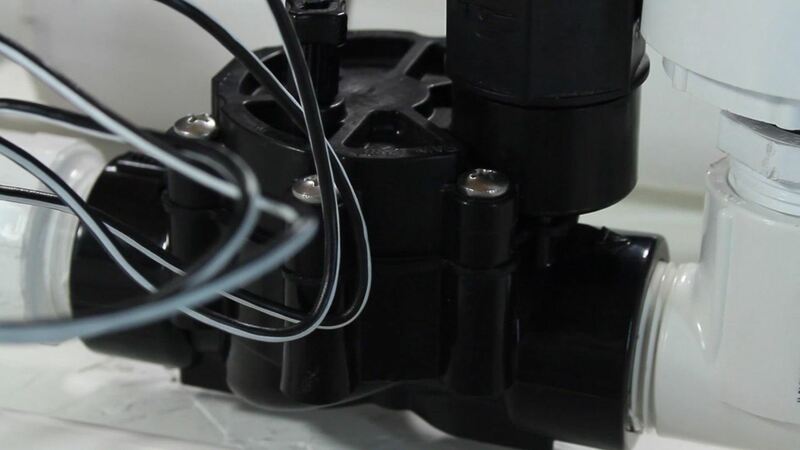 PVC sprinkler parts were used, as well as some doorbell wire, thread tape, a pneumatic adapter, and a push-button switch. 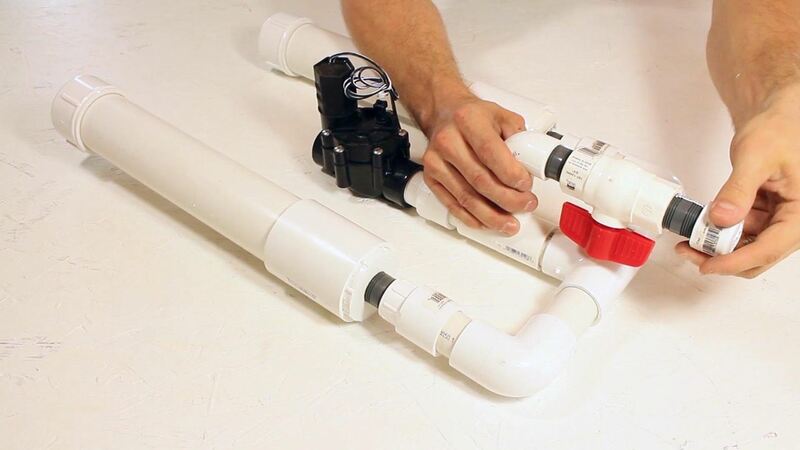 2" PVC pipes were cut 12" long, and dry-fit to see how everything lined up. 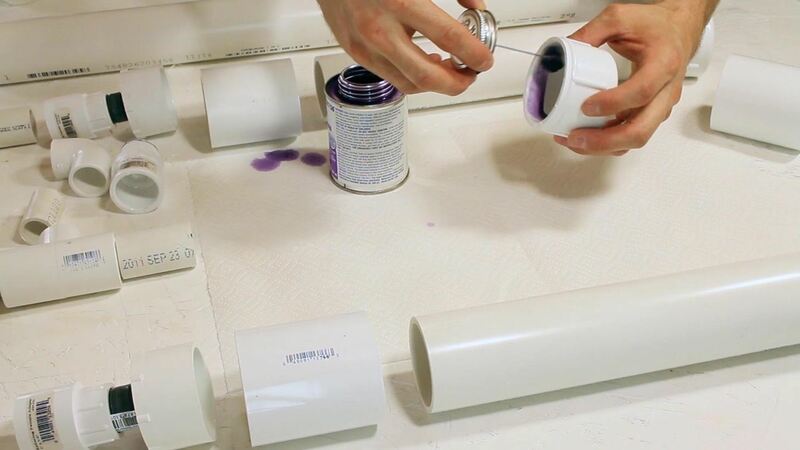 Purple primer and PVC cement made the connections pressure-tight in the usual way. 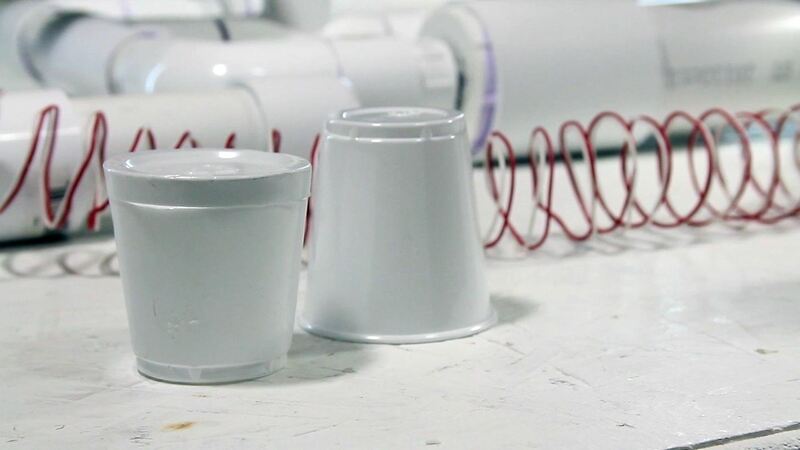 To make sure the candy launched efficiently, I made a basic cannon wad from 2 plastic cups. 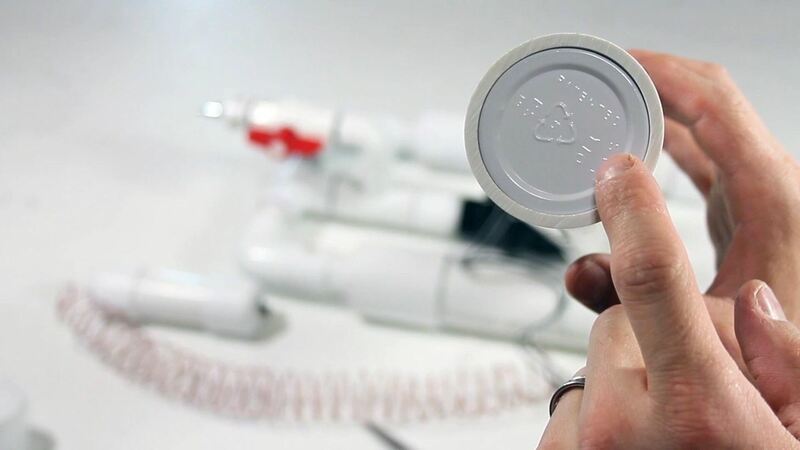 This design had impressive structural integrity, which meant it could withstand the blasts of high air pressure, and be used multiple times before having to make a new one. Another benefit was that it fit into the 2" barrel exactly! This meant that the blast of air would be more effective in launching the sugary projectiles. 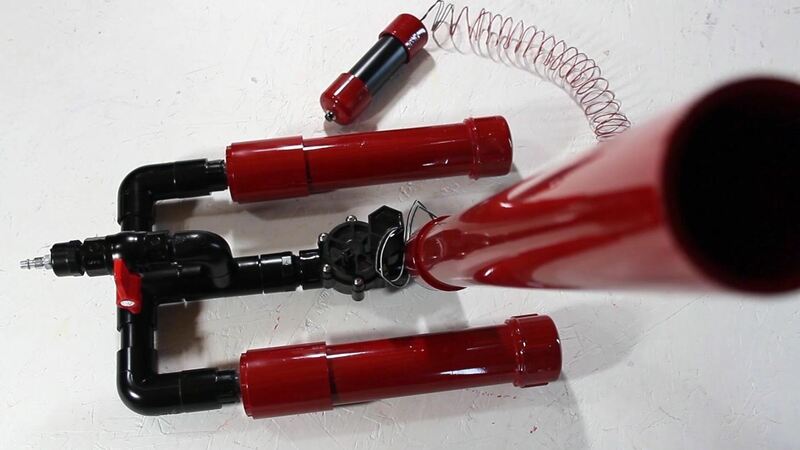 The pneumatic adapter was where an air hose connected to charge it up, and the manual ball-valve gave the option of closing off the system. This meant the system could maintain pressure even while the air hose was disconnected, thus making it portable. The wad went in first, and was pushed to the bottom with a ramrod, then candy was inserted. Individually wrapped candies could be a better choice, however these jelly candies were mainly for testing the ballistics of small dense candies. 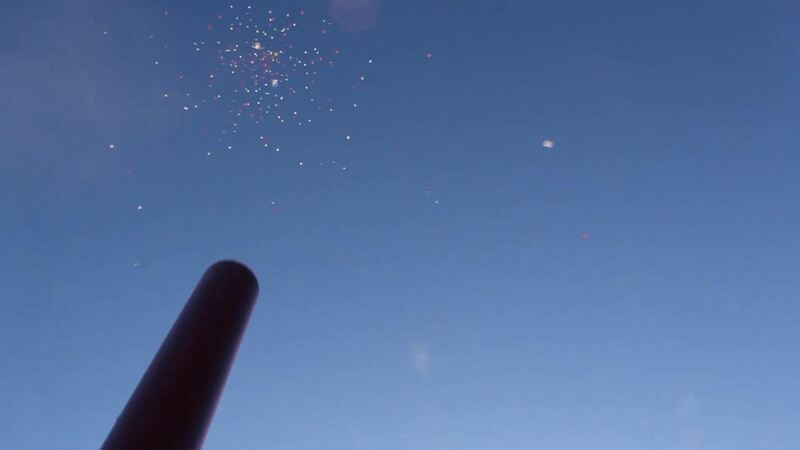 Upon firing, the candies soared up 100 feet, spreading out like a cloud, and then came raining back down into the back yard ready to be collected by eager young children, with treat-bags in hand. This has become a hit at birthday parties, and we are making it a tradition to do a candy launch at each of our kids' birthdays. And, of course, the birthday boy is the one who gets to push the detonator button! Nice. This will come in handy for causing some trick-or-treater chaos on the streets next week. like this one this is vvery cool i think im going to try to make one THIS IS COOL!!!!! !!!!!!! !!!!!!! !!!!!!! !!!!!!!! !!!!!!!! !!!!!!!!!!! !!!!!!!!!! !!!!!!!!! !!!!!!!!!! !!!!!!!!!!!! !!!!!!!!!!!!!!! !!!!!!!!!! !!!!! !!!!! !!!!! !!!!!!!!!! !!!!!!!!!!!!! How can I get a complete list of everything that I will need to build this?